I did a Geography degree at uni as it was a good broad degree which gave you lots of options at the end of it. It was a four-year masters degree as I wanted to stay at uni for as long as I could! Then I went and worked in China teaching English which was a great experience. It was 12-15 hours a week so you had lots of time to explore/have fun when not working. When I came back and was applying for jobs employers were really interested in my time out there. I could give some great answers to competency questions based on my experiences in China. This really put me ahead of the other applicants who could only give examples of teamwork that they did while at university. When I came back from China, I wanted to work in the travel industry. So, I got a job with an airline and really liked it. However, I still didn’t really know what I wanted to do. I applied for some grad schemes at consulting companies as the roles were quite broad. These grad scheme consulting roles involved doing lots of varied stuff and getting to work with different companies/industries which appealed to me. I was accepted into a grad schemes with a consulting firm and ended up staying 5 years with them, and learning lots. 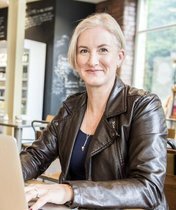 I then decided to use that expertise to go out on my own as a freelance consultant which is what I still do today! See James’ career path below. What advice would you give to your 22-year old self? I would have gone freelance earlier, maybe a year or 18mths earlier. However, you do need to build up some experience before you take the plunge. So, I don’t have any major regrets. I enjoyed my time with the firm I did the graduate scheme in. It was very social; there were lots of people your age, lots of nights out, etc. What are the pros and cons of contracting/freelance work? There are no cons really! As a consultant, you have to be able to commute from your home to a lot of the client sites so it can mean being way from home Mon-Thu a lot. Being a salaried employee with one of these consulting firms is great when you are younger as it’s very social. You have a few drinks, stay in nice hotels and eat in very nice restaurants entertaining clients. However, when you get a bit older, you want to be spending time with your friends/partner. It doesn’t really work being away from home so much. I remember just before I left the options were either go to Edinburgh or Bradford. I said ‘No thanks’ to both! 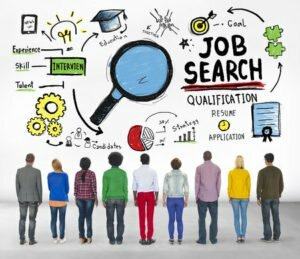 Why did you start the graduate job podcast? And tell us a bit about it and the really varied guests you’ve had on it…. I’ve been doing the graduate job podcast for 4 years now. When I was applying for grad schemes myself I put a lot of work into preparing for the applications and assessment centres. I had answers to all the questions prepared, and was very successful at progressing though those processes. I was the go-to person for family and friends to give them advice on applying for jobs and really enjoyed it. Also, when I was working with that consulting firm, I had to do some internal work for the company. One of the options was helping out with the graduate scheme, i.e. vetting candidates, telephone interviews, etc. Doing that I could see how bad some of the applications were. Some of them were appalling; I was really shocked. People were copying and pasting the wrong company name! That got me thinking about starting the graduate job podcast. I get a real sense of fulfilment out of it, you have people emailing you saying this episode really helped me with this or that. Some of the most popular episodes i.e. numerical reasoning, get 10,000 downloads! There have been over 100k downloads in over 200 countries! – work and travel with your job! What were your favourite episodes of the graduate job podcast and why? The episode with MJ De Marco was a great one. 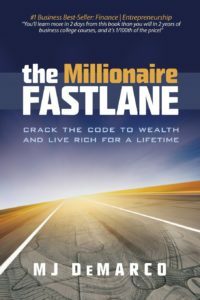 His book ‘The Millionaire Fastlane’ is a real favourite of mine. If I could recommend one book to people reading this post that would be it. Reading that book really changed my thinking on life and career in general. The episode with Geoff Thompson was also one of my favourites. He went from nightclub bouncer to BAFTA award-winning screen-writer. He talked about the fear people have in applying for jobs and how they can overcome that fear. To be honest, I love all of them. Each one is so different and I always learn something new! The graduate job podcast gives me the chance to speak to people I normally wouldn’t talk to, which is great. You also meet people who you have quite a lot in common with. It also improves my interpersonal skills as I have to build a rapport with people in a very short space of time. What advice would you give to someone graduating now? There is no rush. I think there is a big pressure to get a job. Everyone is trying to climb the ladder as fast as possible and make as much money as they can quickly as they can. Take your time go work abroad and travel. Don’t just bum around on a beach for a year though. 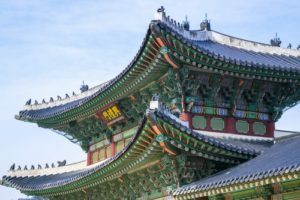 Go and get a 1-2 year working visa, and live and work in a very different culture. You will learn and develop so much out of it. That’s good advice but I’ve also seen people who start earning some cash, getting promoted, and having such a good time that they then don’t want to leave the UK! From hosting 70+ episodes of the graduate job podcast, what should they teach in school/university but don’t? Entrepreneurship, positive mindset, interpersonal skills. A lot of lecturers they have never had a job outside academia. They have done a masters, Ph.D. and then become a lecturer. That’s great if you want to work in academia but if you want to learn and get advice about the real world you are not going to get it from them. There is so much good advice and practical info out there now. I wish someone would have given me Tony Robbins tapes when I was 16, to teach me about confidence, how to think, how to approach life and solve problems, etc. – Get on Linkedin is the first tip! – Once you have an account make sure you have a decent professional looking photo. You can pay someone £20 to get this done. – When sending connection requests, always put a little personal note in the connection box. Don’t leave the generic message. People will be 10x more inclined to connect with you if there is a reason or some commonality. – Use the alumni search function. For example, pick something that you are an alumnus of, i.e. university, then join that group. Let’s say you want to get a job with Facebook. You can use the alumni search function to see the people from your university that work for Facebook. You will then stand a better chance of them replying if you ask them if you can have a quick chat. Instead of blanket applying, be as focused as possible in your applications. Pick three and really sculpt your application(s) so that they stand out from the crowd. I was amazed at the poor quality of the applications send to my consulting firm; people just put in no effort. If you do put some proper time and effort into your application it will get noticed! CV’s are so generic these days. A good tip that was given on the show was why not be a little different to catch people’s attention. Depending on the industry, why don’t you do an infographic of your career to date? You can get someone on Fiverr to do that now for very little expense. In episode 3 on job-hunting with Richard Maun, http://www.graduatejobpodcast.com/jobhuntingsecrets/ one of his big tips is networking. For young graduates who mightn’t have big networks he says make a list of people you know i.e. immediate family, peer group etc. This will give you 15-20 people you can then go talk to and ask them who do they know? ‘Who do you know who?’ is the most valuable question. For example, if you are looking for a job as a consultant for example, and ask those 20 people ‘Who do you know who works as a consultant?’, chances are they will know someone who you can then go ask the same question, and build up quite a lot of contacts that way. 5) Best career book to read for graduates? MJ talks about other ways of making money instead of working for 40 years for a big company and trying to get promoted; by pinpointing a niche, working out a business plan…. This book really changed how I viewed my career. I’d encourage any young person to read it, it’s a tremendous book. 7) Best career planning tip? This links very closely to the next question on thinking about your values. Spend some time thinking about what it is that you want to do, what excites you? What jobs would you love you do? Think about it, jot them down, then go out and speak to the people who are currently doing them. Get in touch with them on twitter, go and see if you can intern for them, or work for them. See how they have done it and do the same. If they can do it, you can do it too! 8) Best tip for getting a job you love? – how much money you earn? – what size of company you work for? – what industry you work in? 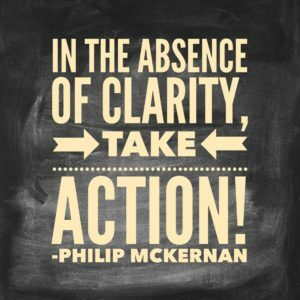 – whether you are working in a team or not? – work-life balance; do you want to go home at 5pm or 8pm every day? 9) What advice would you give to a graduate who has no idea what they want to do? 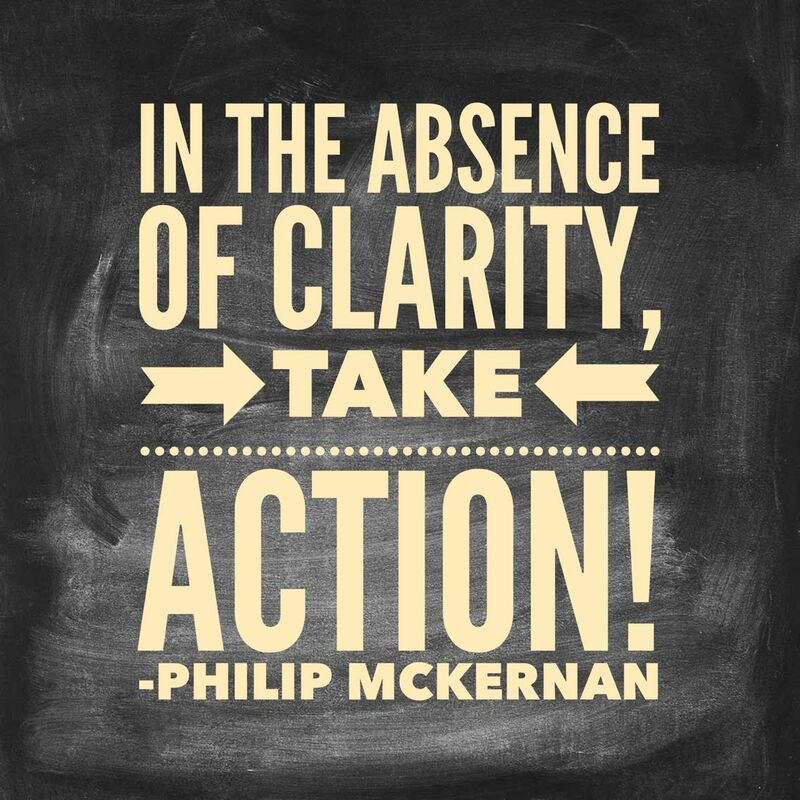 If you don’t know what you want to do; do something! That way at least if you don’t like it you can cross that one of the list and do something else. You also might find that you like certain aspects of the job which can lead you down a different path. I think the big thing I got from reading your book is that the 100 interviewees didn’t have a laser-like focus on what they wanted to do. All of them had very meandering paths, using trial and error to see what they liked and didn’t like. What is the one thing you want to do the most on your bucket list? A white-water rafting adventure holiday. There is a company called ‘Water by Nature’ that specialise in doing two-week trips somewhere exotic where you camp on the sides of the banks. I’d love to do that! If you suddenly had enough money never you have to work again, what would you spend your time doing? The Graduate Podcast full time?! I really enjoy the coaching stuff I do, whether it is helping someone with their applications, CV’s or just career advice in general. So, if money was an object I’d do more of that! How do you think the future of work will change? People will become even less loyal to jobs and companies! Graduates will stay 18mths after a graduate scheme instead of many years. I also think people will work from home a lot more and do more contracting in the future. Speaking of the future, what are your plans? what’s next after the graduate job podcast? 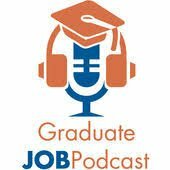 I’m actually working on a course on ‘How to get a graduate job’ which should be available in the autumn which will put all the fantastic advice offered in the graduate job podcast episodes into one easy accessible place. So, stay tuned to Twitter as I’ll be announcing more details on there! As well as Twitter, how can people find The Graduate Job Podcast or contact you?